Toy sewing machine - Muller 19. This German - manufactured Muller No.19 was very popular when produced early this century. 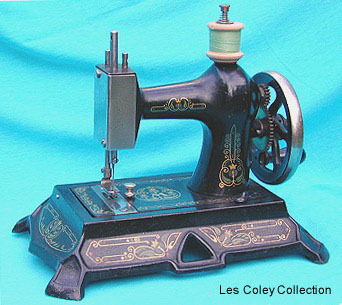 The Muller Company specialised in toy sewing machines and this model, although small by domestic machine standards at the time, was a real heavyweight in their range.